Austinites might think they live in the coolest city in Texas, if not the entire U.S., but San Antonio is increasingly trendy in its own right. 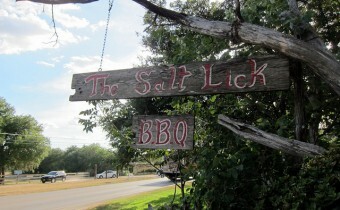 While Austin is overrun by hordes of tourists who flock for glimpses of the live music scene, the more subdued San Antonio offers residents and visitors alike a unique experience. In 2015, San Antonio was dubbed one of the five “Secretly Cool Cities” by the Huffington Post who cited landmarks such as the 14-mile-long River Walk, the Tobin Performing Arts Center, the Pearl Brewery District, and the King William District as some of the city’s coolest attractions. 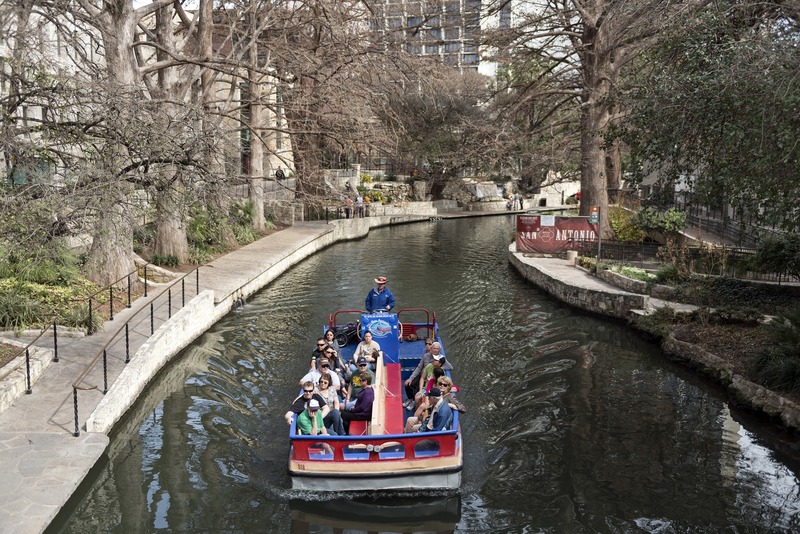 We couldn’t agree more that San Antonio is pretty cool. The 2nd most populous city in Texas after Houston, San Antonio has some wonderful highlights including the State’s best Tex-Mex, a rich history, a diverse population, notable landmarks like the Alamo and River Walk, and a unique flavor that sets it apart from other Texas cities. It’s no wonder that people are moving here in droves. Apple Movers, one of the area’s best companies for moving, reports that they’ve seen a huge influx of people relocating to San Antonio in the last few years. Some of their customers, they say, are fleeing the traffic and outrageous living costs of cities like Austin. Between 2010 and 2016, San Antonio’s population grew by 8.55%. With all these additional San Antonio residents, we have more than enough San Antonio parties and weddings to keep us busy spinning tracks. 3. Did Someone Say Fiesta? 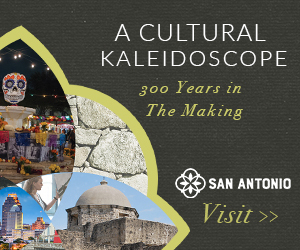 For 125 years, the residents of San Antonio have been celebrating the annual Fiesta, a weeks-long event that pays homage to the city’s rich heritage. Originally started as a parade to commemorate the lives lost in the Battles of San Jacinto and the Alamo, Fiesta San Antonio now boasts 11 days of activities and events, include parades and live music, that celebrate what it means to be from San Antonio. Picture loads of scrumptious food, bright and vibrant colors everywhere, and an anticipatory buzz in the air, and you have Fiesta. Of course, we also love Fiesta because of its rich musical tradition. Live music plus DJed events keep 3.5 million party-goers dancing for the entirety of the celebration. Pearl Stable: The Pearl Brewery was founded in San Antonio way back in 1883, but was shut down in 2001 after the label was sold to Pabst. 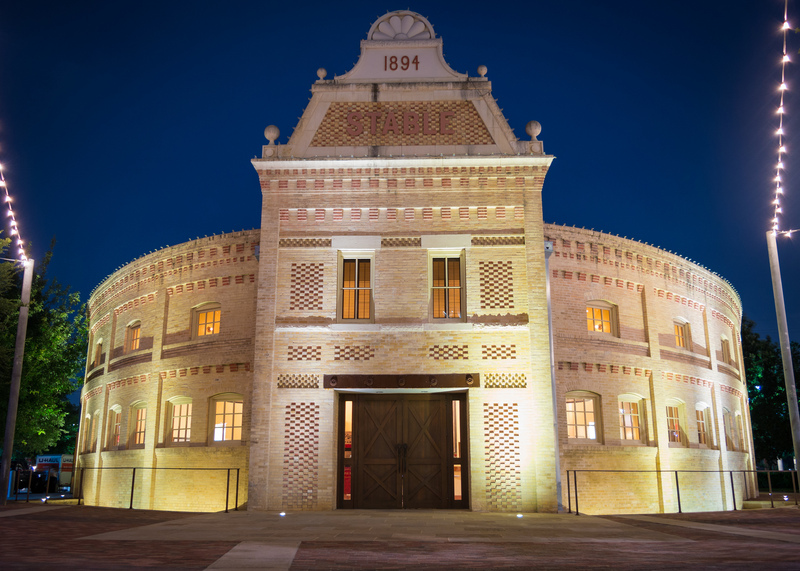 Today, the historic brewery site has been revitalized and transformed into a beautiful entertainment district, replete with restaurants, shops, and one of our favorite wedding venues. The Pearl Stable once housed the brewery’s horses, which were key to transporting supplies and finished product before the brewery had motorized means of transportation. 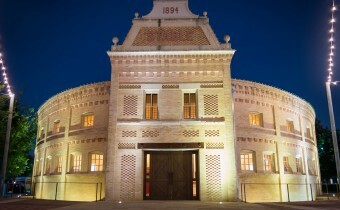 Now, the meticulously renovated stable is used as a special events venue, with room for up to 300 of your favorite people to dance the night away. Hotel Valencia: Everyone loves San Antonio River Walk, and if you want an unforgettable wedding experience, the River Walk is the place to have it. Hotel Valencia sits right on the banks of the San Antonio river, and is the perfect place to throw a fete your guests will never forget. One of the most romantic wedding ceremonies we’ve witnessed was held in the hotel’s intimate courtyard area, followed by a long night of dancing and partying in the hotel’s tastefully decorated ballroom. Of course in addition to several other remarkable downtown venues, San Antonio’s outskirts also have some great ranch settings for a more Texan-wedding vibe. Any way you slice it, San Antonio is a great play to live, play, party, and DJ. We’re happy to now call San Antonio our 2nd home. For a recent wedding gig, the bride included a line on guests’ RSVP cards where they could indicate song requests for the reception. Brilliant. Not only did it take forming a playlist off of the bride’s to-do list, but it made guests feel like they were an important part of the event, which led to one of the boisterous receptions we’ve ever seen. We asked friends at a local digital marketing firm for their take on using social media for special events. Since most guests will undoubtedly check their social accounts at some point in the evening, Moonraker (www.moonrakermarketing.com) suggests turning all that phone scrolling into an opportunity. Rather than getting upset that guests are distracted by their phones, prominently display a hashtag unique to your event, so that guests can share their own candid shots from the night. You’ll end up with some great pictures that the photographer didn’t even capture. Why women still teeter around on stilts for all special occasions is curious. Though they might complete the outfit, they’re massively uncomfortable, and after a few hours they’ll make your feet throb. Thank you to whoever came up with the genius idea to hand out flip flips at weddings and other events. People seem to have loads more fun when they aren’t thinking about how much their feet hurt, and it’s more tasteful looking than just going barefoot. The photo booth has been trendy for a long time, and we love the zany props and loads of laughter local vendor Say Cheese brings to the party. People love pictures of themselves, especially when taken from the shelter of a photo booth, where they are free to make the craziest faces and dumbest poses. At a wedding reception, the photo booth not only provides guests with a momento from your big day, but can double as a guest book as guests paste pictures of themselves in an album. Most people don’t appreciate getting seated with a table full of strangers at an event. If you’re doing assigned seating, make sure you thoughtfully seat friends and acquaintances together. Increased comradery from well-planned seating will likely result in more momentum to get people up and dancing. Even if you’ve served your guests loads of food already, they’ll likely be down for another late night snack after burning all those calories scooting around the dance floor. Even cooler is a late night snack delivered via food truck. 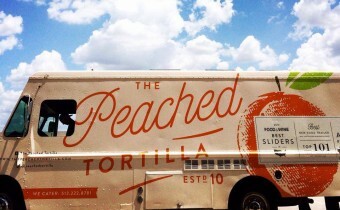 Our favorite Austin vendors to cure the munchies are Peached Tortilla, P.Terry’s Burger Stand, and Amy’s Ice Cream. Favors are one of those last minute things that always causes the bride stress, because they have to come up with something really cool, but cheap, as they near the end of their wedding budget. Most guests are happy with great food, free booze, and the opportunity to celebrate with you, so don’t feel like you have to go out and drop money on favors. As DJs, we are always there with the clean-up crew and can’t tell you how many favors get forgotten or discarded while still at the venue. Not worth the money! Use it towards something else instead, like the late night munchies or the photo booth. While plated dinners scream refined and elegant, guests really love food stations. Having a variety of food options for your guests makes the dining experience more adventurous and laid back. 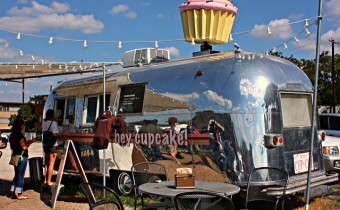 Even better, arrange to have several food trucks assembled to offer the best of local cuisine to your guests for a refreshingly unfussy spin on traditional event food. Nothing cries party foul like drunk driving. To get all of your guests home safely, and reduce your liability as the host, consider giving out Uber or Lyft coupons to your guests. Or, if several of the guests are staying at one hotel, you could rent out a bus to shuttle them safely to their accommodations. Letting your guests know ahead of time that they don’t have to drive sets a different mood for the party and keeps everyone safe. We are a full-service DJ company ready to make your next event come to life. To find out about availability and book us for an upcoming party, CONTACT US today. Copyright © 2019. DeadMeetsLead - Traveling DJ for all your event needs. All Rights Reserved.